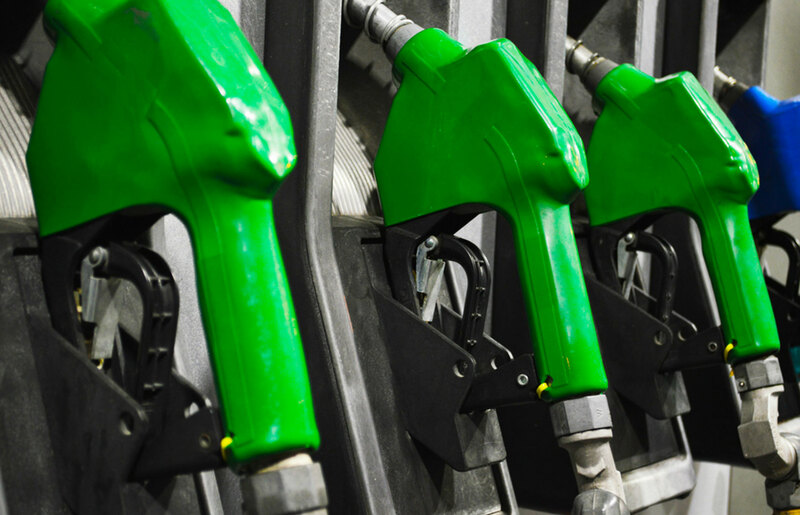 With diesel prices back on the rise, now more than ever fleet managers have to monitor fuel spending. With diesel prices back on the rise, now more than ever fleet managers have to monitor fuel spending. Both proprietary fleet cards and bank-issued credit cards offer fleets the ability to track and set controls on their fuel spending. But the similarities stop there. Fleet cards provide more in-depth transaction data, greater flexibility and tighter purchase controls than their bank card alternatives. One of the most significant advantages fleet cards offer over credit cards is their ability to provide in-depth data on purchases. While bank cards use a one-size-fits-all approach, fleet card companies tailor their services specifically to the fleet's needs. Major credit card networks offer Level I data – such as Purchase amount, Merchant name, and Purchase Date/Time, but most do not offer Level II or Level III data. A proprietary network means a fleet card can capture valuable Level III data on all transactions. Level III data is captured when a driver swipes the card and is prompted to enter additional information, such as odometer reading, vehicle ID, etc. Fleet cards also show the product type and description of the purchase, which is not captured by major credit cards. This gives fleets the ultimate in flexibility and control when monitoring purchases. Fleets need a card with high network acceptance so that drivers don't waste time and fuel driving around to find a station they can use. A fleet card such as the DAT Fuel Card from EFS offers acceptance at over 90% of U.S. retail fueling locations. More importantly, it provides Level III data capture at more than 99.8% of these accepting locations. This covers all of the major fuel retailers, and a majority of the independents. For most fleets, fleet cards are a more versatile option than bank-issued credit cards and offer advantages to the fleet manager that regular credit card networks can't. 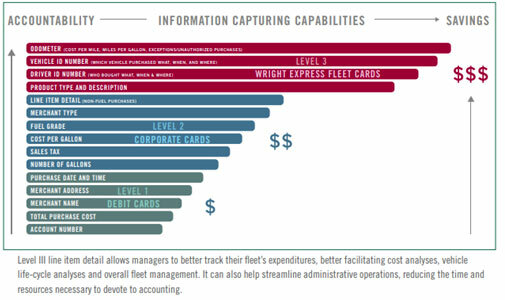 Fleet cards can revolutionize reporting processes to better manage fuel costs, making more dollars and sense.